Spiked Foods is a simple and ingenious mod that extends and improves vanilla potion mechanics by adding the ability to spike food items. With this mod, you'll have the power to assassinate your enemies, add a whole new level to roleplaying, enhance edible items like golden apples, pull pranks on friends, and so much more! Spiking foods in this mod is a shapeless recipe involving one potion of your choice and one food item you'd like to spike. Alone, the item has no distinction from its unadulterated form, but it can not stack, so keep that in mind next time you try spiking someone. Poison apples and feed them to your enemies! 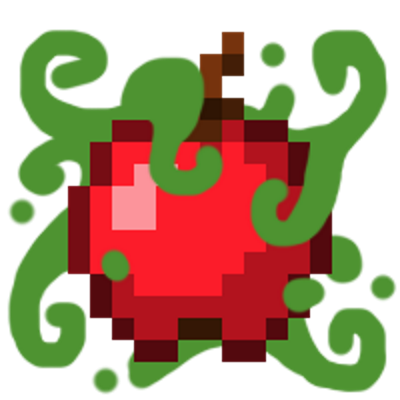 Add extra potion effects to golden apples. Turn normal apples into golden apples. Be Hannah McKay from the show Dexter. You may post translated versions of this mod to other websites. You may use this mod in a modpack. If you enjoy the mod, buy me a latte or something! Does this mod actually add a new item or just modify the behavior of existing items? And if it is the latter, can this be run on the server side only? It modifies existing behaviors, so it theoretically should be server-side only. this mod breaks potions when used on sandwiches from culinary construct. I cant even make a proper issue report because there's no issues page. Does this desplay the spiked effects when hoving over the item? No, part of the idea was to keep the effects hidden for view, that way it could be utilized for equally sinister purposes. I bet you could make a fun Russian roulette minigame with this using a dispenser and some instant health/damage potions. Is it possible to edit the NBT tags to use any potion effect/duration/strength? It might be fun to distribute some spiked food items in loot tables that have crazy potion effects, like slowness 30 for 2s or levitation 1 for 15s. I believe the potions are stored in a tag array called "Spikes." Sadly I don't believe this is possible, cakes are blocks, meaning you can't attach NBT data to them like you can with items.